Fright Nights West Yorkshire is a sister company of Fright Nights – the UK’s original and undisputed number one ghost hunting company. We offer the general public the opportunity to participate and take on an active role, ghost hunting around West Yorkshire’s most haunted locations. Whether you are an avid ghost hunter or this is your first time and you are looking to experience the paranormal first hand, let Fright Nights West Yorkshire introduce you to the wonderful world of ghost hunting around the county. With a fantastic team of experienced mediums, psychics, paranormal investigators and access to scientific paranormal investigative equipment, you are guaranteed a quality ghost hunting experience unequalled by any other company. Our promise to you is that our ghost hunting events will NEVER be ‘staged’. We only provide you with a real and genuine experiences of ghost hunting…. book one of our must do events and come and see for yourselves. Fright Nights was established in 1999 and was the first company in the world to offer overnight ghost hunt experiences to the general public! After eighteen years, Fright Nights still retains its reputation for investigating Britain’s most haunted and unusual locations as well as providing an excellent night of ghost hunting! Hundreds of ghost hunters join Fright Nights every month for the most thrilling ghost hunts available. Often copied, but never equalled, Fright Nights are the undisputed number one Ghost Hunting Company. Fright Nights have taken over 400,000 people on ghost hunts at over three hundred haunted locations, if you have never ghost hunted before then why not give it a try? It definitely is an experience to remember! 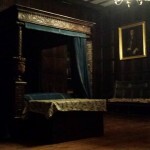 Check out our ghost hunt section and take the plunge. During busy periods we may not be able to take your call but our 24 hour online booking service is fully operational and competely secure.